OEM Code: CN684WA - replaces the larger capacity (but more expensive) CB321WA. Page yield approx 550 pages. Note: This is the recommended black cartridge for Medium to Heavy users. 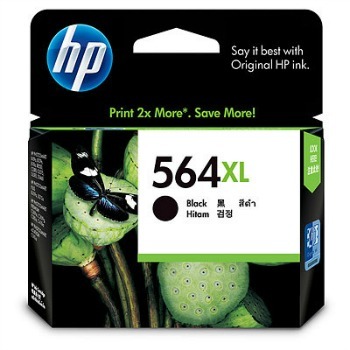 It prints more than 2 times more prints compared to the Standard 564 Black Cartridge.